Over the years music fans have gradually changed how they listen to their music, and what they listen to it on. With the rise of the smartphone it's only natural that now the one device we carry with us everywhere is also our primary media player. On Android, we're also fortunate that there's a huge community of developers that create apps that can better the experience we're provided by the folks who made our phones. The Google Play Store has many music related apps to choose from, but some do stand out from the crowd. It'd be impossible to look at all of them. 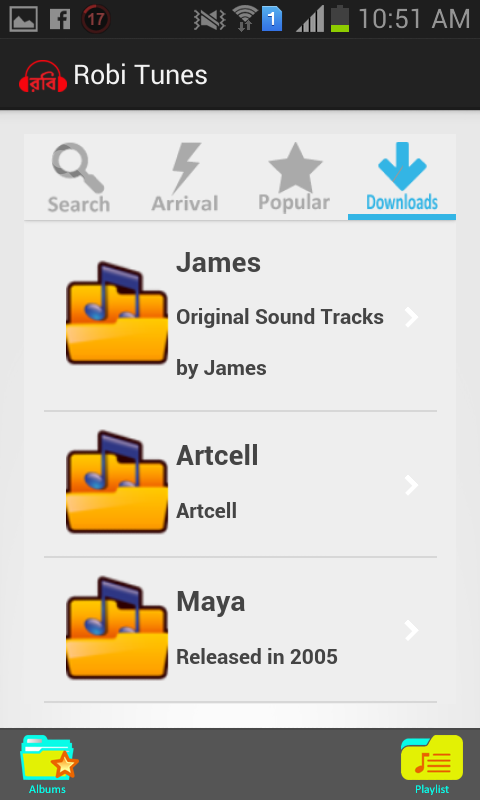 We have developed an application basd on android platform with a huge library of music. An online shop evokes the physical analogy of buying products or services at a bricks-and-mortar retailer or shopping center; the process is called business-to-consumer (B2C) online shopping. In the case where a business buys from another business, the process is called business-to-business (B2B) online shopping. We have built an website on online shopping named Richman Dhaka which is going to publish the new groove for Cosmetics & Beauty Supply. Men's Clothing Store. Women's Clothing Store. It can be downloaded from our website.